Verizon Unlocked. ✔ Clean ✔ Good Heavy LCD Burn. Gold Platinum. Condition :Device is PhoneCheck certified with a 36-point functionality test and is 100% working. All devices include a working, used battery. Trending at $244.97eBay determines this price through a machine learned model of the product's sale prices within the last 90 days. Trending at $829.99eBay determines this price through a machine learned model of the product's sale prices within the last 90 days. DEVICE CANNOT BE UNLOCKED! FOR USE ON THE ROGERS WIRELESS NETWORK ONLY! A Fair designation is for a device that has a heavy amount of scratches, marks, nicks and/or cracks on the housing and/or display screen as a result of previous usage. This phone is for the AT&T network. AT&T is a GSM network. This Android smartphone was powered on, wiped, and reset to default settings. Samsung Stylus. We keep a smaller portion of each sale. This phone isNETWORK LOCKED TO THE AT&T NETWORK. Trending at $128.19eBay determines this price through a machine learned model of the product's sale prices within the last 90 days. [View more great items] (https://www.ebay.com/sch/yywirelesss/m.html) Condition: This phone is in Very Good condition. some sign used Phone is fully functional. Clean ESN unlocked Comes with: Phone Battery Battery cover Generic wall charger. Condition: This phone is in like new condition minor sign of used phone is fully functional. clean esn gsm Unlocked Comes with: phone battery battery cover Generic wall charger. Phone is in really good condition. It is locked to AT&T and will only work with AT&T or Cricket. Also includes accessories and original box. Family Line Samsung Galaxy S7. 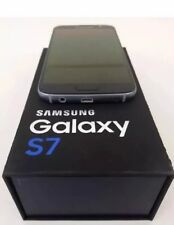 Samsung Galaxy S7 SM-G930V - 32GB - Black Onyx (Verizon) Smartphone. Storage Capacity 32GB. Network Verizon. Battery Capacity 3000 mAh. Color Black Onyx. New, Used, & Refurbished. Phone is unlocked with clean esn. Good condition. Includes phone only. Condition: This phone is in Very Good condition. some sign used Phone is fully functional. Clean ESN Unlocked Comes with: Phone Battery Battery cover Generic wall charger. 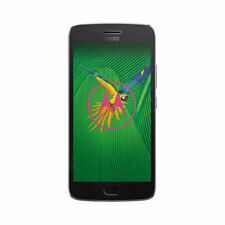 Unlocked for use with any GSM carrier worldwide. Will not work with CDMA carriers such as VERIZON/SPRINT. 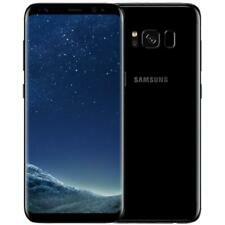 NEW UNLOCKED Samsung Galaxy S8 SM-G950U 64GB MIDNIGHT BLACK (AT&T. Samsung S8 64gb. ). You will be given all choices during checkout. We will provide an RMA number and instructions. Good condition. Q: Are Verizon devices unlocked. A: Most 4G LTE Verizon devices are GSM factory unlocked, but not all. This is a 32GB iPhone 7 Black on the Verizon wireless network and it has a clean ESN. The phone comes brand new factory sealed box. This is a great deal and usually the phones I sell go quick. I have a great track record with delivering quality products. I only except PayPal and will ship once payment is received. Good luck!! [View more great items] (https://www.ebay.com/sch/yywirelesss/m.html) Condition: This phone is in like new condition 9/10 minor used phone is fully functional. clean esn Unlocked Comes with: phone battery battery cover Generic wall charger. Factory Unlocked. Shadow screen. If you look closer, it will have minor used or nick scratch etc. Shopping for a new cell phone or smartphone may seem complicated, but eBay makes the process simple and painless. Our extensive collection includes a huge variety of phones from Apple, Samsung, LG and other top brands. We also feature phones from every major cellular carrier including Verizon, AT&T and Sprint, as well as unlocked cell phones. If in doubt, check out some of our cell phone buying guides above to get some advice on making the best selection for your needs and budget. Get the brands, colors, features, and networks you’re looking for in cell phones and smartphones when you browse our collection of eBay phones for excellent deals. Today's cell phones do more than make calls. Smartphones act as a messaging service, a web browser, a camera, a music player and a GPS navigation unit—all in one device. Generally speaking, the more features a cell phone has and the more storage that's built in, the higher the cost of the phone. 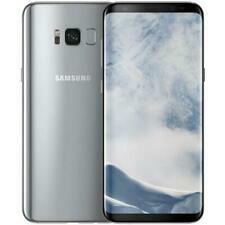 Buy a best-selling Apple smartphone, such as the iPhone 7 or iPhone 6s and check out the latest releases from Samsung, the Galaxy S8+ and Galaxy S8. If budget is a concern, consider looking at used cell phones or buying last year's model like the Samsung Galaxy S7 —it should run this year's apps just fine. In addition to used phones, eBay has a large number of seller and manufacturer refurbished phones. You'll also find unlocked and prepaid phones. And many of our sellers offer free shipping. If you're still short on funds, you can sell your current phone on eBay to help finance your new cell phone purchase. Don't forget to accessorize! Our mobile phone accessories collection includes chargers, headsets, screen protectors, cases, covers and all kinds of other items to customize your phone and improve its functionality. We also offer cell phone batteries, replacement screens and other cell phone repair parts. The long-anticipated iPhone 8 and iPhone X have landed, meaning the iPhone you know is a thing of the past. Though iPhones before the 8 were impressive, the iPhone 8 and X are awe-inspiring. The glossy OLED screen and energy-efficient design of the 8 promises extended battery life, and the powerful processor ensures speed. 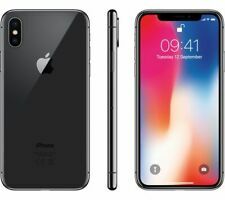 There’s also wireless charging, so no need to fuss with cords, and a facial recognition feature built right in, known as Face ID, which helps secure your smartphone. Should you buy the newest additions to the Apple smartphone line? The choice is yours, but an iPhone 8 would certainly ensure your iPhone will last longer and be able to work the new iOS operating system without hassle—not to mention it's super-fast and good-looking. If you're interested in a more sizable screen, see what the X has to offer. 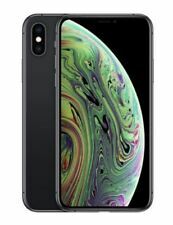 Measuring 5.8 inches, the top-to-bottom display features sharp, detailed images courtesy of the Super Retina HD display, and with a 12MP camera, photos look professionally done. The dust and water-resistant exterior keeps your phone protected from damage, and the phone comes in shades of space gray and silver.